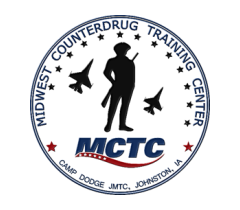 Please be aware of Camp Dodge public safety policies when you attend training on-post. The official policy letters are below. 1. The speed limit on post is 25 mph. When passing troops in the street the speed limit is 10 mph. 2. Using cell phones while driving on post is forbidden, unless a hands-free device is utilized. 3. You must wear a reflective belt when running or jogging on post. You may not run on Maintenance Road. 4. Seatbelt usage is mandatory anywhere anytime you are in a moving vehicle on post to include as you are entering post, stopped at the entry gate or driving anywhere on post. DO NOT unbuckle your seatbelt to get your ID out as you enter Camp Dodge. Regardless of your department policy the Camp Dodge policy will be enforced and you may be subject to a non-moving traffic ticket. -you must use the following safety equipment: helmet, face shield or goggles, full-fingered gloves, footwear that covers the ankles, and high-visibility upper garment or diagonally-worn reflective belt. -your motorcycle must have at least one rearview mirror, and headlights must be on at all times. Violators of policies may be subjected to a moving or non-moving traffic ticket.